Home Basics EM00249 4 Cup Stainless Steel Espresso Maker, Silver, by Home Basics at Baking Love. MPN: EM00249. Hurry! Limited time offer. Offer valid only while supplies last. Espresso maker 2-cup is made of high quality, durable stainless steel. Rust resistant finish. Polished finish. Safety pressure release valve. 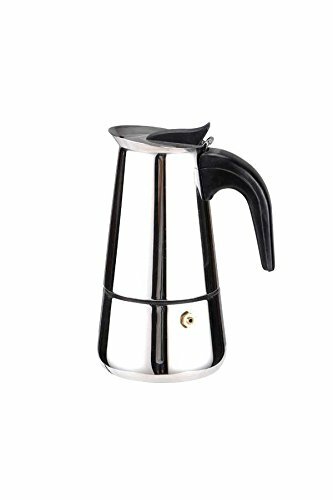 Espresso maker 2-cup is made of high quality, durable stainless steel. Rust resistant finish. Polished finish. Safety pressure release valve. Capacity- 4 Cups/.95 L.
If you have any questions about this product by Home Basics, contact us by completing and submitting the form below. If you are looking for a specif part number, please include it with your message.